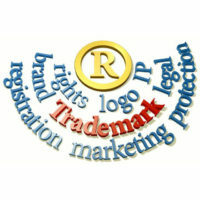 More than two-thirds of Trademark or Service marks applications are rejected. The rejections come in the form of an “Office Action”. The applicant must respond to the Office Action within six (6) months of the date of the Office Action letter, or the applicant risks abandonment of the trademark or servicemark. The experienced TrademarkLawyers at The Jacobs Law regularly respond to Trademark Office Actions from the USPTO, and can review and draft a response and legal argument in support of your application for trademark or service mark. This denial is used when the description of the goods and services for which the mark will be used is unclear, indefinite, or overly broad. A “Definite” identification of goods and services is specific, clear, accurate, concise, and uses ordinary language and terms (i.e. not industry jargon) that the average person will generally understand. This denial is used when there is evidence demonstrating that the words used in the mark or the design elements merely describe some aspect of the goods/services. For example, “smooth” or “light” for beer, or “Seattle’s Best Donuts” for donuts made in Seattle. A “disclaimer” is a statement that acknowledges you do not have nor claim exclusive rights to a particular word or design element in your mark because it is descriptive or generic. This denial is used when there are problems with the specimen submitted with your trademark application. These issues can include that the mark does not appear on the specimen or it is different from the mark that appears on the drawing or the specimen does not reference the goods/services, or the specimen shows the mark used with different goods/services from the ones in your application or the specimen is simply a “mock up” or “printer’s proof” that is not actually used in commerce as required. If your trademark application was rejected and you received a USPTO Office Action, contact the Business Litigation Lawyers at The Jacobs Law today at 800-652-4783, email ContactUs@TheJacobsLaw.com or complete the simple contact form at our contact us page. Our experienced lawyers will review and draft a response to the USPTO Office Action in support of your trademark registration application.